Aarinola Esther Okelola, an elementary education foundations major and TESL minor, received the 2018 President’s Student Leadership and Service Award (PSLA). The PSLA recognizes the accomplishments and contributions of outstanding student leaders at the University of Minnesota-Twin Cities. It is presented to approximately one-tenth of one percent of the student body for their exceptional leadership and service to the University of Minnesota and the surrounding community. 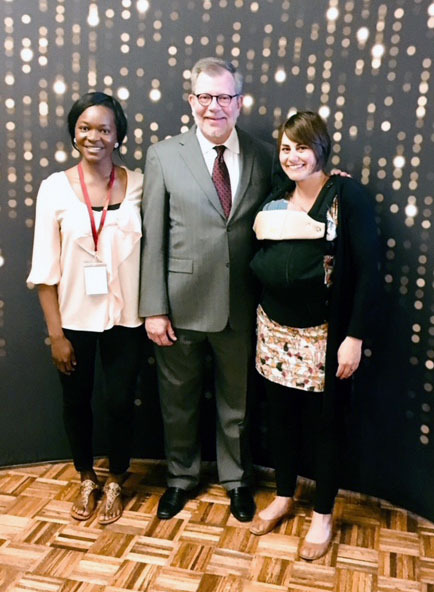 Okelola was also a TRIO McNair scholar this past year where she was supported in her academic research focusing on disciplinary practices in schooling and how those can impact K-12 students’ academic achievement. She plans to continue in the department as a master’s of education student in the elementary education and teaching licensure program, and eventually get her Ph.D. in Educational Policy and Leadership. Learn more about the elementary education programs in the Department of Curriculum and Instruction.